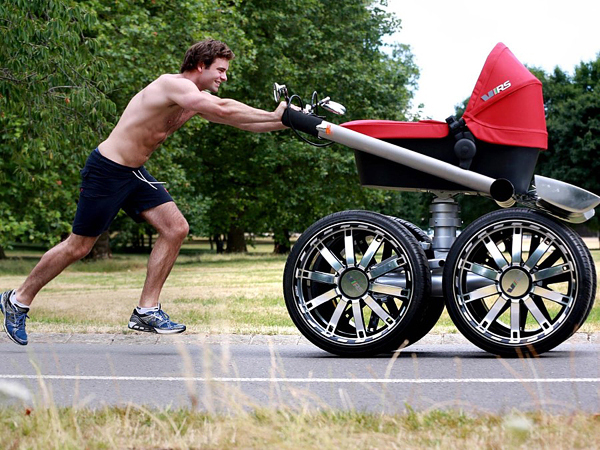 Czech car maker ŠKODA has developed an ultra-modern pram vRS Mega Man-Pram. 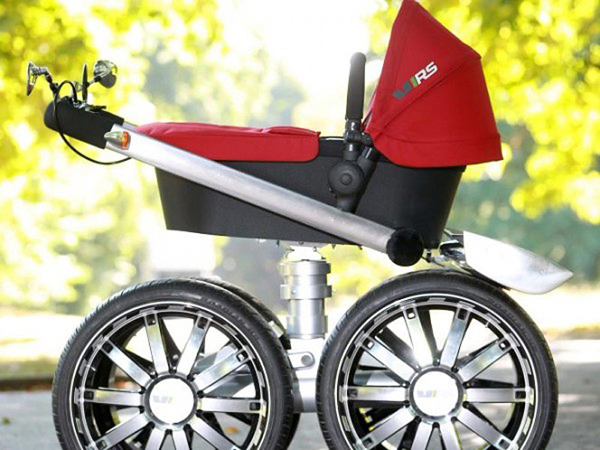 The model is designed in a sporty style, it’s significantly higher than the standard wheelchair: standing two meters high. 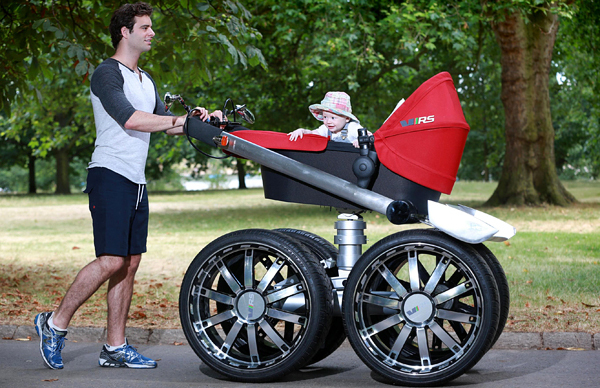 The buggy comes complete with wing mirrors, hydraulic suspension, 20 inch alloy wheels, over-sized brake calipers, anti-stress grips and a headlamp beam for night walks. 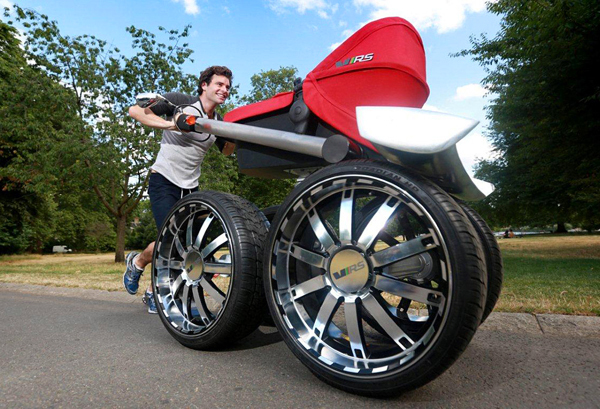 Tots lucky enough to be carried on board can look forward to “sports-style upholstery” and “adjustable lumbar support”. 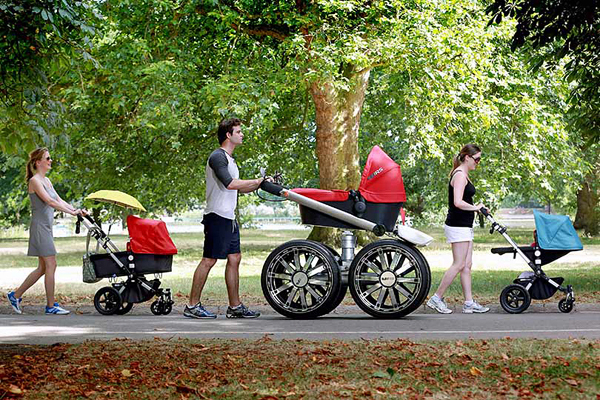 Heidi Cartledge, Head of Marketing at ŠKODA UK comments: “The “vRS Mega Man-Pram” proves what you can do when you take the vRS vision off road and drive it straight into the nursery. We used it in the new Octavia vRS TV ad because we wanted to bring to life the idea of enhancing the performance of everyday objects. 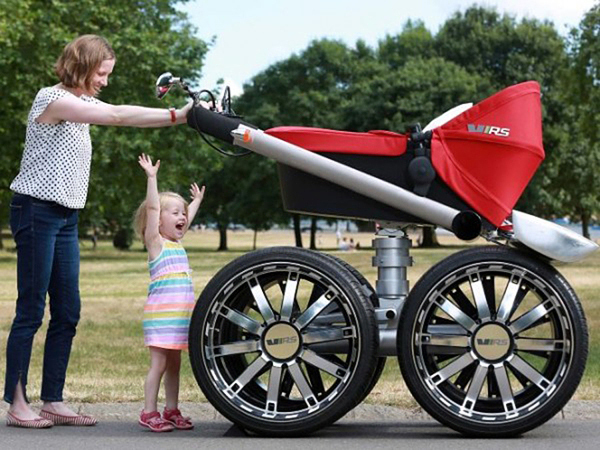 The high tech-buggy gives a tongue in cheek sense of what you could experience if you vRS’d your life”. 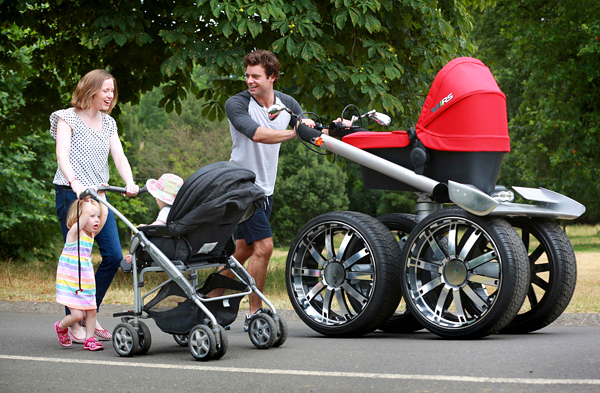 So young, and already over-compensating!